On its journey to the sea, from Bexley North to Tempe, Wolli Creek passes through several different plant communities. These communities form a variety of vital habitats for plants and animals. Discover more about the plants in the valley and the plant communities that support them. Check out the animals you might see and where they live. Find out about the fish and reptiles that live here. 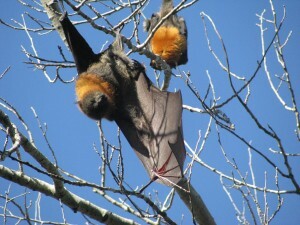 Learn more about the flying fox colony by the creek. Take a look at some of the many wildflowers in the valley. 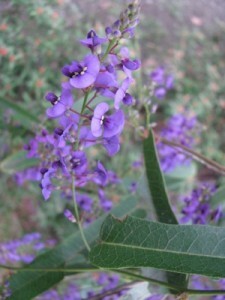 Find out which Australian plants provide valuable habitats for wildlife. If you’re interested in the many smaller species that live here, like spiders or fungi, take a look at the mini life-forms. Unfortunately, foxes also live in our urban bushland. Find out more. You can let us know what animals you’ve seen on our fauna sightings form.